Los Juncos Apartments is the perfect accommodation for families and couples looking for a relaxing holiday. Facilities include a large outdoor swimming pool and childrens pool with spacious sun-terrace. There is also mini-golf, paddle and tennis courts. Reception is found at the nearby Pineda Park Building. Apartments with one-bedroom are able to accommodate up to 4 people, and two-bedroom apartments up to 6 people. All apartments feature a balcony or terrace, living room with sofa bed, a bathroom and a kitchen equipped with fridge, hob, oven and microwave. Towels and linen are provided at the start of the stay only. From November 2012 the Spanish Government will impose a fee for all stays in hotels, apartments, villas, rural and camping locations. This fee will be between 1-3 Euro per person per night for those aged over 16 years (prices subject to local changes). This fee is payable directly to the accommodation and will be taken at check in/check out. Please note; A refundable deposit of approx 100 Euro is required at check in. Situated in La Pineda, only a few minutes away from the beach and close to a selection of shops, bars and restaurants. It's around 1km to the Aquapolis Water-Park and approx 5km from the Port Aventura theme park. 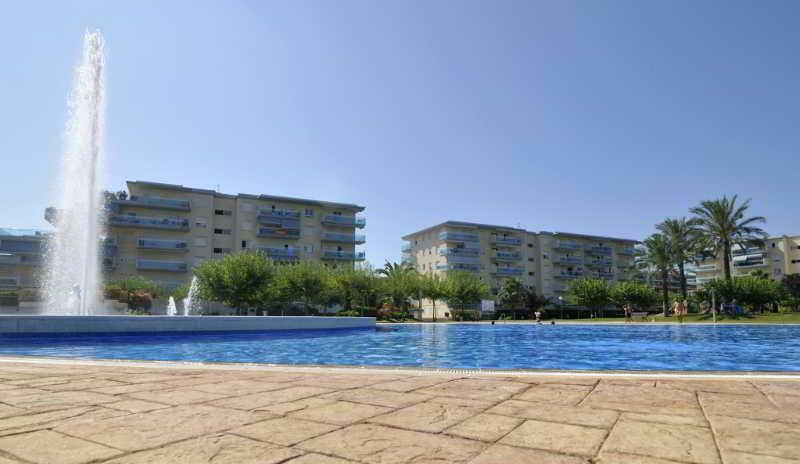 The resort of La Pineda is approx 11km from Reus Airport.